Visitors have been drawn to Stamford for many years. Celia Fiennes, a traveller in the late 17th Century described it “as fine a built town of stone as may be seen”. Sir Walter Scott apparently doffed his hat to the view up to St. Mary’s Church, claiming it was the finest sight on the road between London and Edinburgh. More recently, Sir John Betjeman called Stamford “England’s best town”. 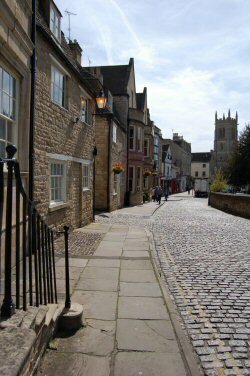 In 1967 Stamford was made the first urban conservation area. A major book by the Royal Commission on Historical Monuments entitled ‘The Town of Stamford’ followed, detailing the long architectural history of the town and confirming the vitality of its unique built environment. In 2006, the Northfields area of town was also designated as a conservation area. 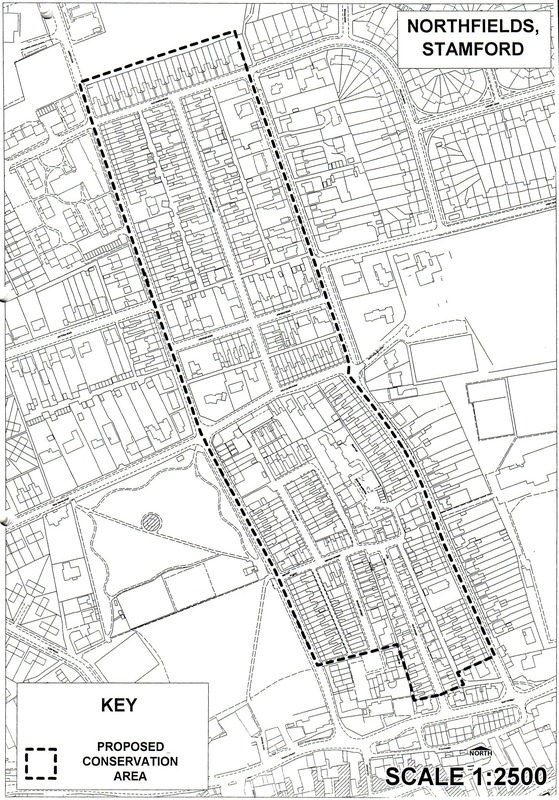 You can find maps of both the Town conservation area and the Northfields conservation area on this web site. Stamford has three blue plaques, commemorating Sir Malcolm Sargent in Wharf Road, William Stukeley in Barn Hill and Nelson Dawson in St Mary's Street. There are a number of other plaques around Stamford, mostly dating from the 1920s, some rather more historically accurate than others. The Society has adopted a policy for supporting the provision of new plaques. Stamford's many listed buildings, churches and archaeological sites stand as testament to a past filled with creative and commercial endeavour. Add to that the achievements of its more famous citizens, ranging from Sir Malcolm Sargent to William Cecil, Colin Dexter and the notorious John George Haigh and you have a rich and colourful story to tell of a place and its people. Little wonder then that the town and the Burghley Estate receive so many visitors, all of whom come seeking to understand and appreciate the many sights which confront them as they wander the streets and parklands. This section of the website provides links to some of Stamford's many heritage sites.